Nvidia GeForce GTX 1070 is the king of 1440p gaming and has proved its worth for a long time now. With the release of new generation RTX graphics cards, their market price has fallen a lot. It wouldn’t be unwise to say that this graphics card provides the best bang for the buck as of now, especially for high-resolution gaming. Many users get confused after seeing a wide variety of graphics card variants but rest assured, we at Appuals will try our best to uncover the most significant variants of the current market below. MSI Gaming X GTX 1070 is among the most selling variants of GTX 1070 due to its sheer beauty, acoustic performance, and reliability. The design is excellent, with two Torx 2.0 fans, which are known for their silent operation, while a red and black theme is implemented. As for the interior components, an 8+2 phase VRM setup is used, which allows sufficient overclocking. This graphics card handled a 100-MHz overclock on core and 400-MHz on memory without breaking a sweat. The temperatures were also good at around 70 degrees while the noise was almost inaudible especially during the gaming session. The graphics card hosts 3 x DP ports, 1 x HDMI port and 1 x DVI port while it has a maximum power consumption of 181-watts. The graphics card is very tall, so make sure that your PC case supports such heights. The RGB lighting matches the theme very well and can be controlled through the software. 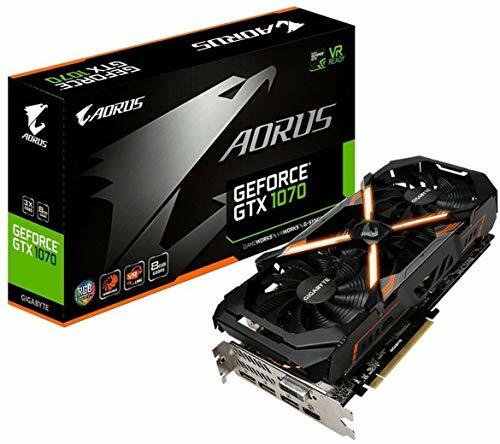 If you are looking for something that is great in performance while not being too heavy on the wallet, then this graphics card might be a good choice for you. A lot of people prefer EVGA graphics cards for their pro-consumer policies. Apart from that, EVGA GeForce GTX 1070 SC GAMING is a decent variant which features a dual-fan design and provides a clean metallic look. It does not feature RGB lighting and instead uses white lighting which suits the graphics card’s visual theme. A 4+1 phase VRM setup is used which is not perfect for overclocking. The fans of the graphics card were very quiet, although the noise levels were more than that of MSI Gaming edition. The graphics card also achieved slightly lower core clocks, albeit the difference in real-world performance was not much. The cooling policy of EVGA is a little passive which is why the fans start ramping when the graphics card reaches a high temperature. This can be altered by using the software provided by EVGA. The graphics card provides 3 x DP ports, 1 x HDMI port and 1 x DVI port for I/O and has maximum power consumption of 181-watts. 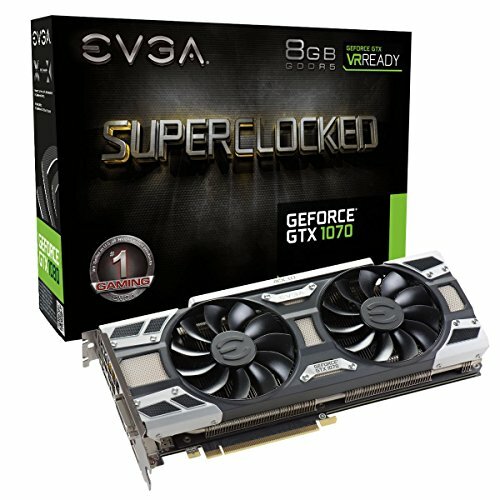 It is among the cheapest variants of the GeForce GTX 1070 and still performs very close to the high-end variants. We believe it is a fine product for those who are low on budget but do not want to compromise on performance. Asus ROG Strix models are probably the most beautiful variants especially the ones with the tri-fan design. 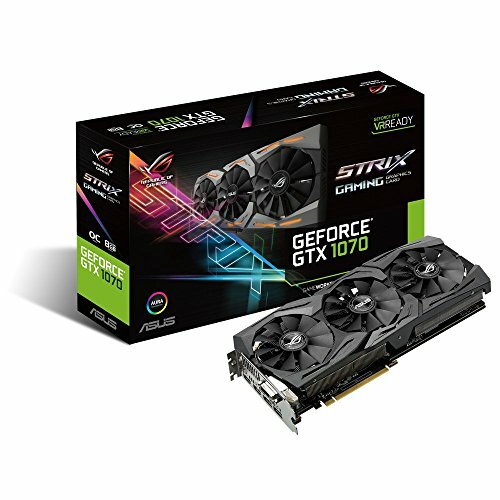 Asus GeForce GTX 1070 ROG Strix with stunning RGB lighting, well-crafted design along with a beefy heat-sink looks just perfect. The performance is great right out of the box as it is factory overclocked and there are absolutely no issues with this model which is why it is priced a bit higher than other variants. The testing showed that there is a lot of overclocking headroom in this graphics card and the temperatures were way below the 70-degree mark. Asus used a 6+1 phase VRM but the quality of VRM is much superior which is why higher clock rates can be easily achieved. There are 3 x DP ports, 1 x HDMI port and 1 x DVI port for connections and it has a maximum power consumption of 166-watts. If you want to get the best out of a GTX 1070, perhaps this graphics card would be your best bet. If you own a mini-ITX case, then there are not a lot of options to look for. Gigabyte GeForce GTX 1070 Mini ITX is one of the two variants which are designed while considering a mini-ITX case. There are no “bells and whistles” in this graphics card which is a cost-cutting approach. It uses a single fan design and the length of the graphics card is slightly more than the PCIe slot which is why it can be installed in almost any case. There are 2 x DVI ports, 1 x HDMI port and 1 x DP port for I/O and the graphics card has a maximum power consumption of 155-watts. As this graphics card only includes a single fan to save space, the user has to compromise on the noise levels as a single fan must spin at higher RPM for compensation. Still, we noticed a 10-degree difference between other variants and this variant, which is a bit disappointing. We will only recommend this graphics card if you own a mini-ITX case and if not, you should look at some other variants. EVGA GeForce GTX 1070 FTW HYBRID combines the qualities of two variants; the FTW one and the standard Hybrid model. 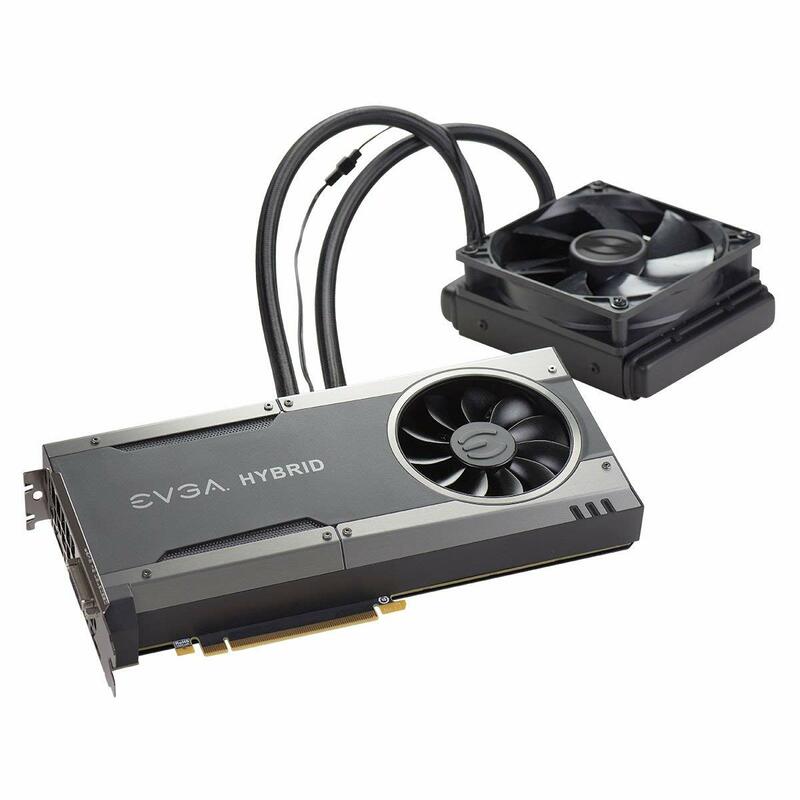 This graphics card features hybrid cooling by using both liquid cooling and standard blower-style fan, which results in great thermal performance. It comes with a huge offset in core clock so that the user does not need to overclock it on their own. The overall design of the graphics card looks exotic and very professional. EVGA has also used a dual-BIOS system as a safety feature, in case the user messes up one BIOS. We were able to see up to 2000-MHz core clock which is a big boost from the reference base clock of 1506-MHz (a 25-percent boost). The temperatures were amazingly low at around 45-50 degree mark, thanks to the water cooling. There are 3 x DP ports, 1 x HDMI port and 1 x DVI port for connecting screens and the graphics card has a maximum power consumption of 251-watts.. 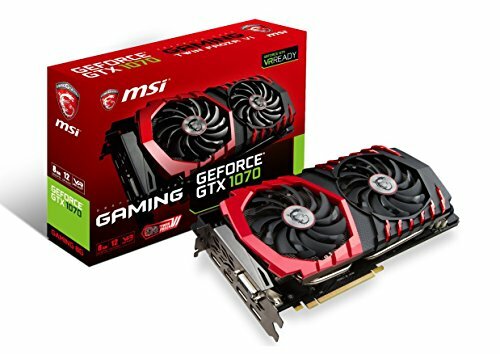 This graphics card has the lowest temperatures in the whole list, although it costs a lot more too. We think it will serve you well if you have got enough dough to own this beauty.